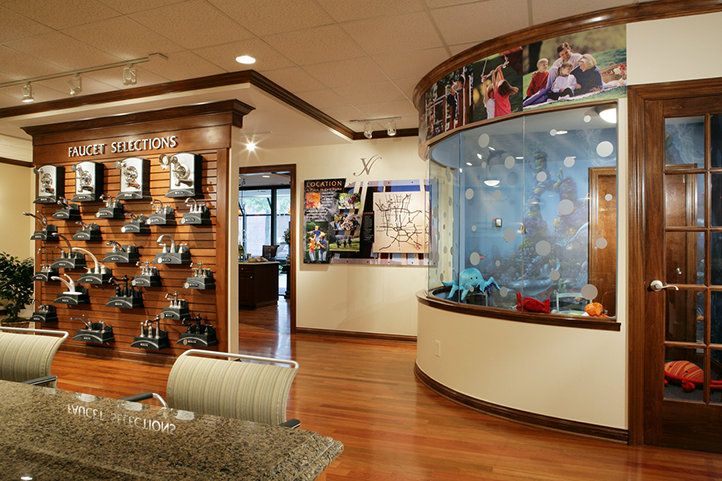 VA Homes Design Center - Marketing Specifics, Inc. 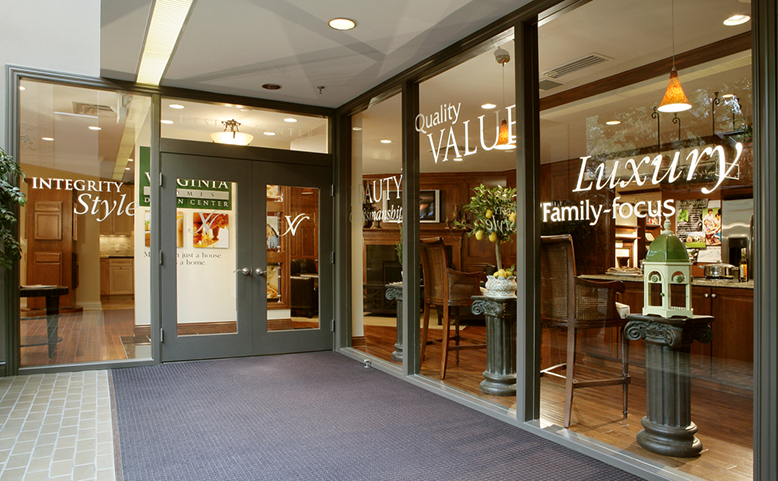 The Virginia Homes Design Center was designed with the buyer in mind. The layout of this selling environment easily guides the homeowners through multiple kitchen vignettes, showcasing beautiful cabinets and great ideas for backsplashes, countertops and appliances. Additionally, the displays were designed and built to hold all of the popular selections for carpet, tile, hardware – you name it – for buyers to compare and choose what they need for their new home. The color, open space and the clean lines help this design center sell upgrades and options without having to try. It was no surprise that this environment won the NAHB Regional Award for the Best Design Center.